This is the little brother to the Rod Holder II. Designed to hold fishing rods with spinning, baitcaster or fly reels. 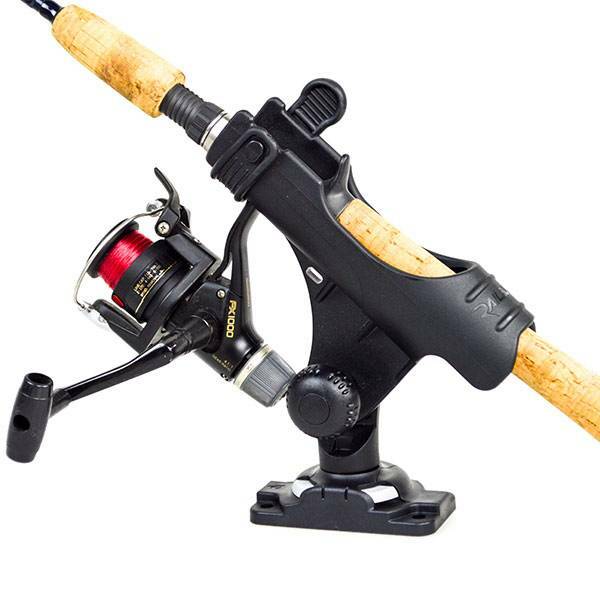 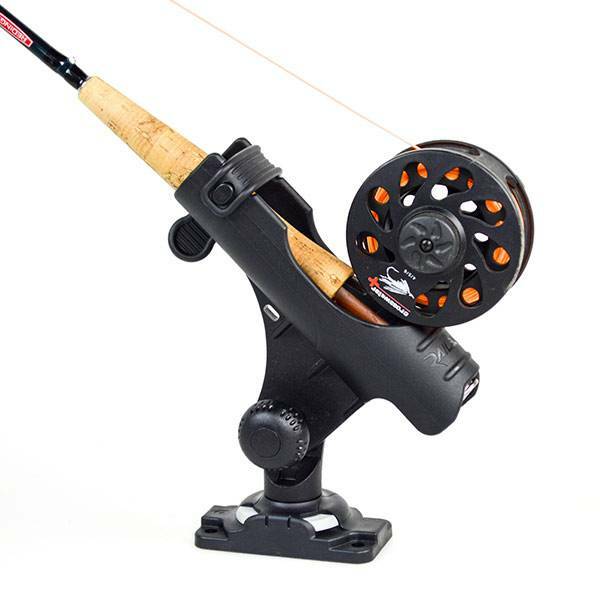 The Rod Holder R is a light duty rod holder suitable for fresh water and inshore fishing, not trolling for large fish. It will fit into any RAILBLAZA mounting port. 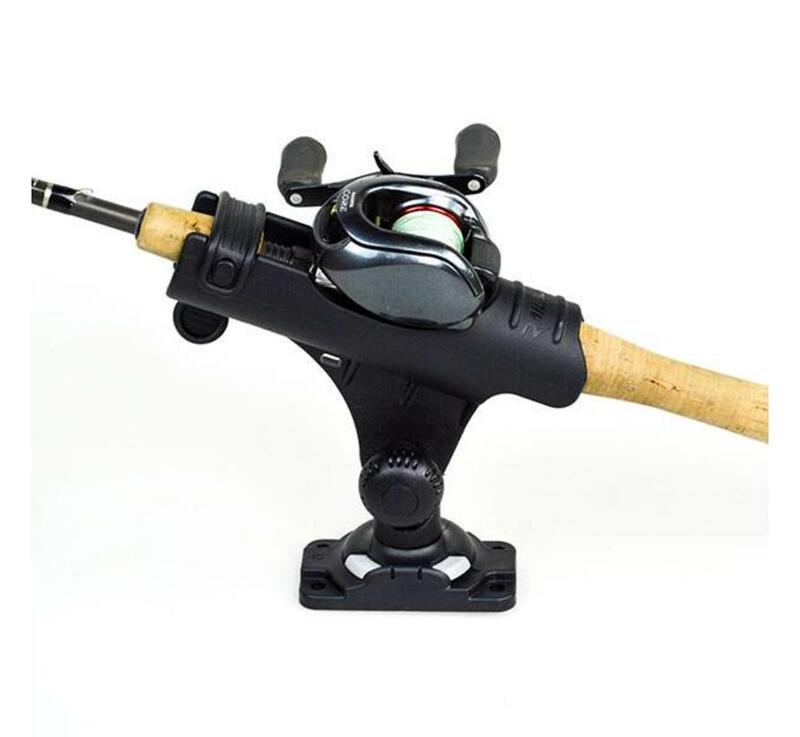 The stretchable strap at the front of the holder will wrap around the top for baitcaster and fly reels and round the bottom for spinning reels, keeping your rod and reel safe. Moulded in rugged fibreglass reinforced plastic, with stainless steel fasteners, it will fit any vessel. 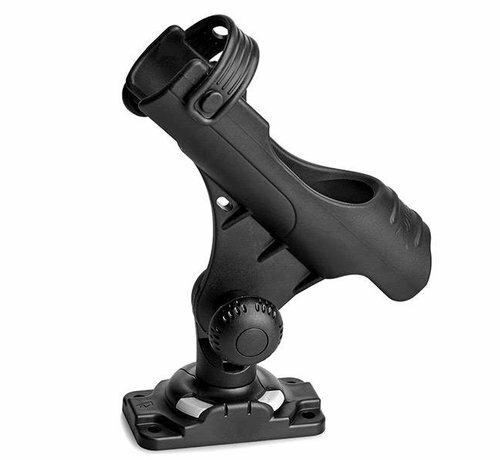 You can buy it as a kit with the very popular StarPort HD, allowing it to fit the footprint of many other popular mounts on the market, or by itself so you can use any other RAILBLAZA mounting port.